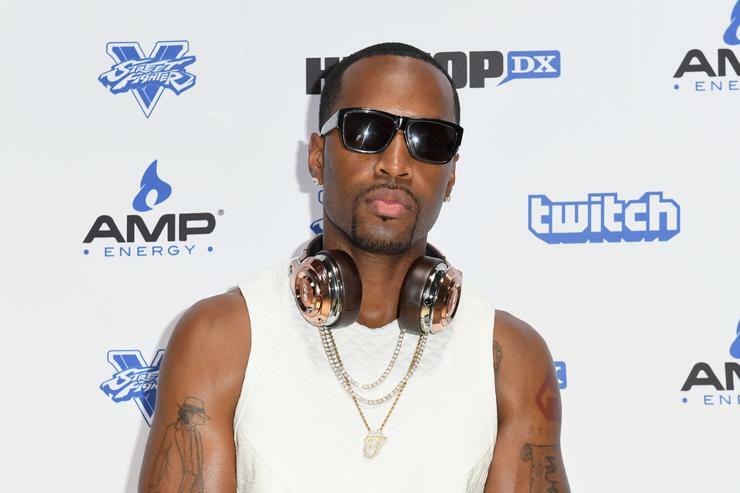 Safaree can rest a little bit easier, now that the last of the three men suspected of holding him up at gunpoint and robbing him of $175K worth of jewelry has been apprehended, according to Daily Voice. The robbery took place back in April, when Safaree and a friend were on their way to his car in a parking garage. All of a sudden, several men run up on Safaree with guns drawn, hold him down, and proceed to take everything of value he had on him, minus the fur. He was affected very negatively by the whole experience, breaking down into tears on the Angie Martinez show when he was describing the incident. A day later, two of the men suspected of the robbery were picked up by police, but not before embarking on a police chase, crashing their vehicle, and getting picked up on foot. The two men, Jonathan Ricketts and Shawn Harewood, were held in custody, though Ricketts was released hours later on a single robbery charge. The final member of the trio, Tacuma E. Ashman, was brought to Bergen County Jail on charges of first-degree robbery, aggravated assault with a firearm, making terroristic threats, and possessing an illegal weapon. He was brought to the prison on Friday, and continued to be held there alongside Harewood, who is located in the same jail and is facing similar charges.